Incentives are known to greatly increase sales of EVs which in turn reduce emissions from transportation and save Canadians about $2,000 a year in fuel. Montreal (March 19, 2019) – Electric Mobility Canada (EMC) is thrilled with today’s announcement in the federal budget that Canadians will receive an incentive of $5,000 towards the purchase of EVs. This major step forward is consistent with recommendations made by EMC in its pre-budget submission to the Government of Canada in August 2018. “The impact of financial incentives from governments have clearly proven that they accelerate the sale of EVs and can contribute to strengthening a growing Canadian industry that supports EV sales and operations. Residents of Québec and British Columbia already receive provincial incentives and EV sales in these provinces exceed other regions of the country. Now, more Canadians will be able to save money while driving”, noted Catherine Kargas, Chair of EMC. As with any other industry, increases in sales volumes result in lower unit costs. The costs of batteries and EVs have declined significantly in recent years and experts predict EVs will reach price parity with internal combustion engine vehicles in less than 5 years. Incentives such as those announced today will contribute greatly to reaching that level and contribute significantly to lower emissions from transportation. “EVs now represent 2% of all light-duty vehicle sales and have grown exponentially in recent years with over 100,000 on Canadian roads today. 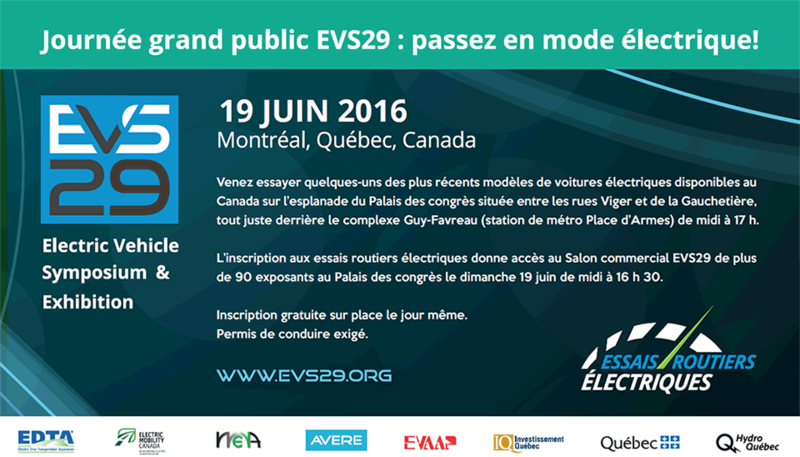 There are also over 9,000 public charging stations for EVs with more being added daily. Growth in EV sales will also stimulate the over 200 Canadian companies now employing about 20,000 Canadians offering products and services in support of EVs domestically and internationally”, added Al Cormier, EMC President and CEO. “On behalf of all members of Canada’s electromobility industry, I would like to thank the Honourable Bill Morneau, Minister of Finance, the Honourable Marc Garneau, Minister of Transport and the Honourable Navdeep Bains, Minister of Innovation, Science and Economic Development who are responsible for these developments”, concluded Ms. Kargas.